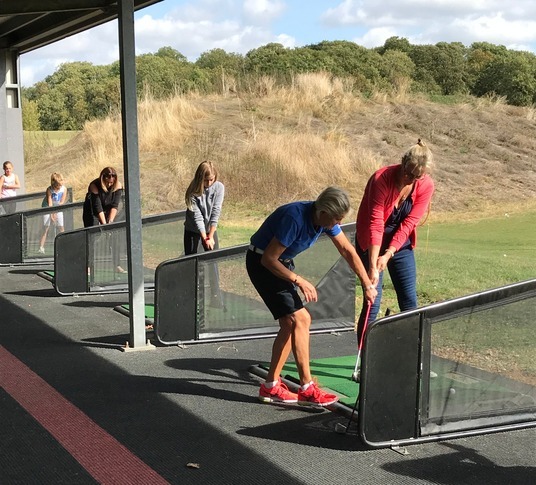 Bedfordshire Golf Club launches #givegolfago to help get more Ladies and girls into golf. 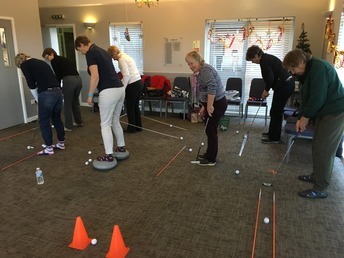 The first of a fun, group based sessions for women and girls who want to try a new sport and learn new skills in a dynamic and lively environment took place at Bedfordshire Golf Club last week with 10 women and girls attending. Several more called, expressing an interest about future events. 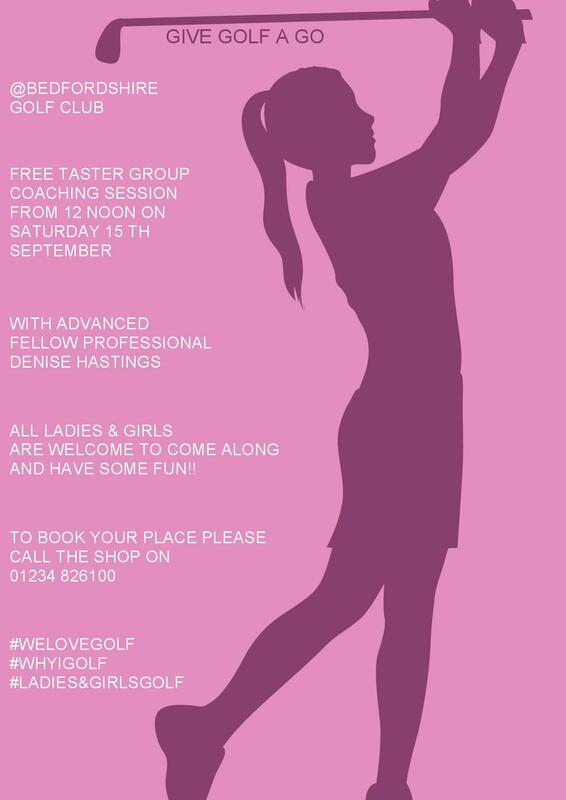 It’s a great initiative to get more girls and women into golf and judging by the response there are definitely girls out there who are keen to do so. We had a perfect day to put golf clubs into these wiling hands. Some were just keen to give it a go, others had a family member who played and just wanted to know what it was all about. Some had already had a few lessons, some none at all. With a few tips from our lady Golf Professional Denise it wasn’t long before they were all hitting golf balls with ease. First steps mastered, Denise then challenged them to hit a balls through hoops and other fun obstacles making practise meaningful. Denise will follow up with each one of them and offer further group sessions and opportunities to really find their way into golf. Those who had been into our club house commented on how friendly and welcoming we were, rather than the stuffy experience they had anticipated. Music to our ears - remember, Girls Just Want to Have Fun!!! Many congratulations to our lady pro, Denise Hastings who was awarded membership of the PGA Advanced Fellow Professionals by Gordon Campbell - East Region PGA Secretary on Wednesday 9 May 2018. This prestigious award is part of the APAL scheme (Accreditation of Professional Achievement and Learning) operated by The PGA. This Membership is only awarded to qualified Members held in high national or international esteem who have made a significant contribution to the development of the game. Denise has dedicated her life to golf. She started playing in her home city of Liverpool and was a founder member of the Ladies European Tour on which she played for 9 years. She started her golf coaching career at Abbotsley where she was influenced by Vivien Saunders amongst others. 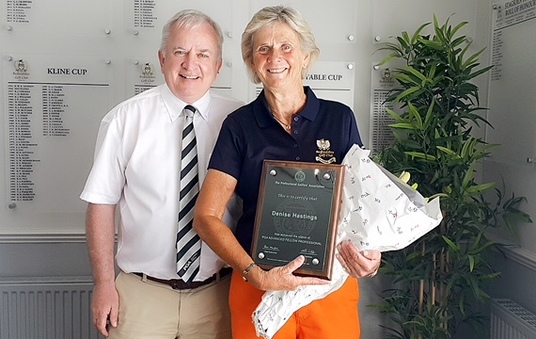 Denise has worked with many great pros over the years whom she has helped to develop their game working at the 'Swingzone' at The Open for 12 years, The Ladies Open, Seniors Open and British Masters to name but a few. However, she continues to extend her already comprehensive knowledge and skills of the game by travelling to the USA and Spain in her quest to be the best coach she can be. Denise is equally happy coaching individuals from all walks of life, ranging from young children to grandparents and everything else in between. She was also one of the first disability coaches in the UK. In her mind there should be no obstacles to playing and enjoying the sport. This award goes some way in recognising everything Denise has put into the game of golf over the years. We are extremely proud to have her at our club and send our warmest congratulations to her for this very well deserved accolade. 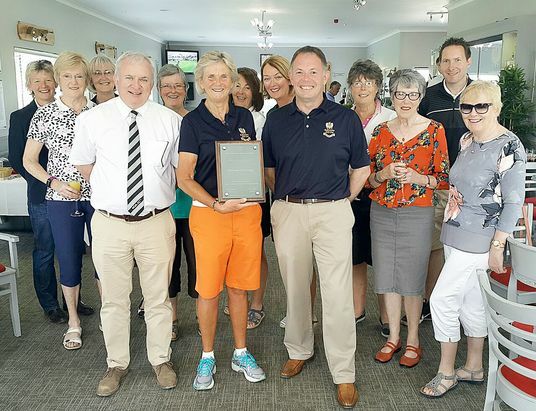 Denise is pictured below with her award and some of the people who came to support her on the day. Whether you are new to golf or a seasoned player, the Academy @ Bedfordshire has all you need to learn, improve and enjoy your golf. All our facilities are available to both members and visitors to the club. Our team of dedicated P.G.A. qualified coaching Professionals, offer a range of coaching packages that can be tailor made to suit any golfer of any standard. On course playing lessons are available on both the Championship, and Academy courses. 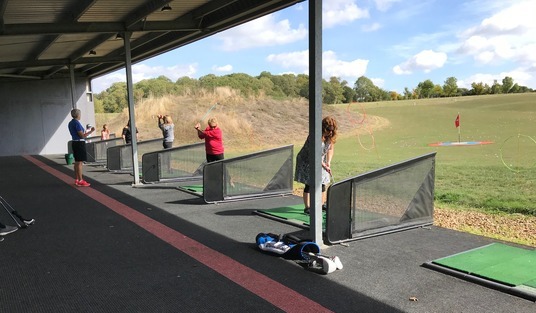 Our 24 bay covered and floodlit driving range, along with top quality two piece balls and sure strike mats, give you the chance to learn and improve your golf whatever the weather. We have also provided a superb array of targets which have all been individually measured for distance from each bay and included on our range maps. Clubs can also be provided for those using the range. The excellent putting green, practise bunkers, and short game area are a great facility, and vital to anyone looking for a long term improvement to their game. The Academy also has the use of an indoor GC2 launch monitor for those players wishing for a deeper understanding of the shots they are hitting, or for club fitting. The use of this can be included as part of any coaching package. The 18 hole Championship course provides an excellent challenge all year round. The shorter Academy course gives the novice golfer their first chance to experience all the pleasures and challenges the game of golf has to offer. 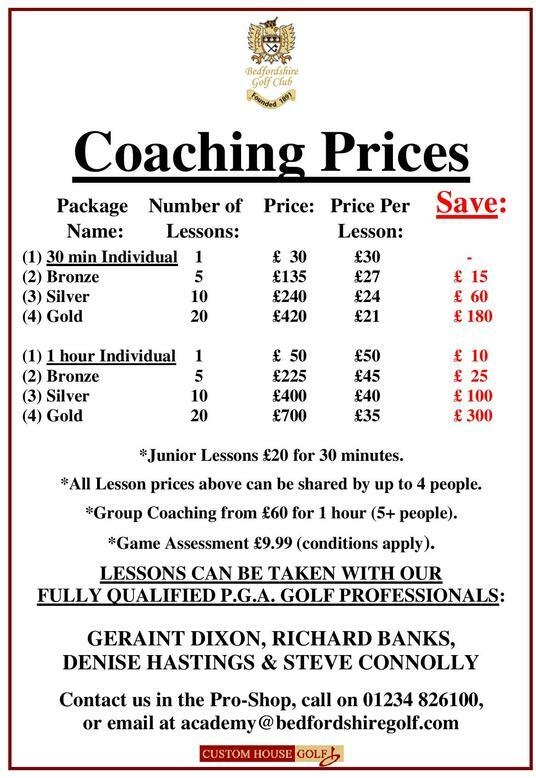 E-mail academy@bedfordshiregolf.com or call 01234 826100 for any more information. make the right choice when it comes to your golf clubs, whether a full set of irons, your next driver or putter. helps our fitters to make the right recommendations for brand, model, weight and flex of shaft, loft, club length, lie angle and grip size. The process also allows you to directly compare the performance against your existing equipment so you can make an informed decision. You do not need to be a member of the club to benefit from our team's expertise - just call our Professional Shop on 01234 826100 or complete our short contact form in this page. Denise Hastings as a member of our BGC Golf Professional Team, has been running sessions called 'Cake and Clubs' for about 2 years. 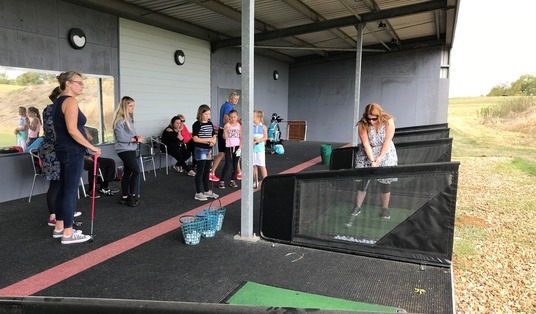 Cake & Clubs is a 2 hour session where includes a mix of golf tuition (both long and short game) with the ladies, and occasionally some holes on our Par 3 course. Challenges are set and there’s much banter and “encouragement” whilst they are attempted! The sessions end with Cake, Tea/Coffee or sometimes 'Bubbles' in the summer! These are very social sessions where the ladies are also able to catch up with each other. Ladies are now coming from Beds and County, Dunstable downs, John O Gaunt, Letchworth, Aylesbury Vale, Leighton Buzzard, Aspley Guise & Kingsthorp in Northampton. 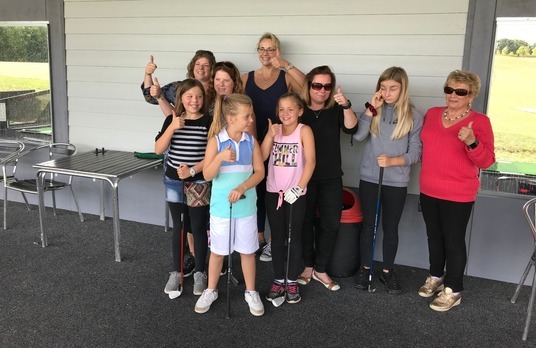 It's proving an all round winner with the ladies, as they come back with their friends and play the course/practice, then have lunch, as well as one to one lessons with Denise. Some even purchase golf items from our well stocked pro shop. 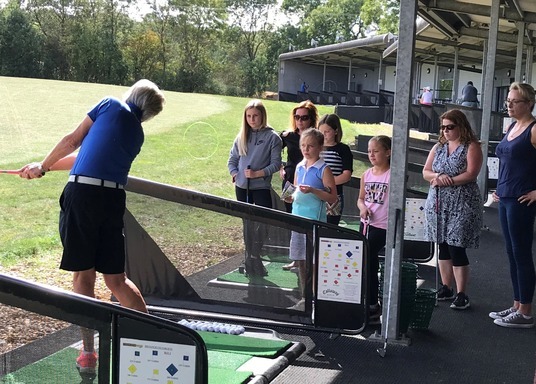 Finally the PGA has contacted Denise to enquire about using the concept of cake and clubs nationally to get more women into the sport - what a great way to promote Bedfordshire Golf Club. 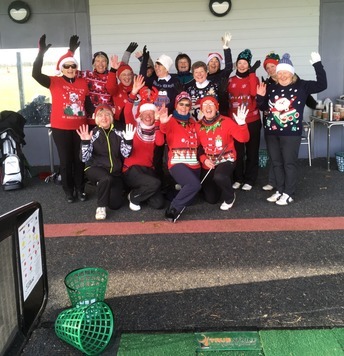 The ladies in festive spirit whilst improving their golf!